Who will win the 2014/15 Premier League? I don't know. No one knows. Don't trust anyone that says they know. They can have a guess, maybe even an educated guess, but they still won't know. Not in the close season. As an example, last season many people will have placed a bet on Manchester City to win the Premier League. A sound bet given their new manager and healthy player investment. and one that paid off in the end. 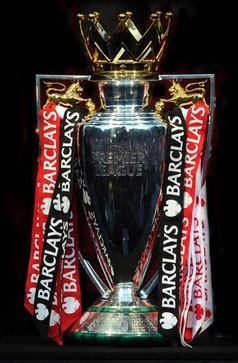 Similar numbers of people will have bet on Manchester Utd to lift the Premier League trophy again, likewise Chelsea. No one really saw Liverpool pushing anyone, but they were a whisker away from winning it. Backing the premier league winner is actually pretty easy, all it takes is 5 bets as the winner will almost certainly come from one of; Arsenal, Chelsea, Liverpool, Manchester City or Manchester Utd. Sorry Tottenham fans, but I can't see you pushing for the title this season. Of course if you make those 5 bets and leave them until May only one will come in and it won't be enough to cover your investment. You'll only feel like a winner if you forgot you placed the other 4 bets. How about laying someone that you don't think will win the premier league? Well using the same logic as above and placing a lay bet on every team that doesn't have a chance of winning the league should result in 15 winning bets. Sounds like a better system, and in terms of winning the bets and making a profit it is, but the amount you'd need to lay and hence have at risk far out weighs the potential return. At £2 minimum stakes you'd have a £158 liability on Tottenham, £358 liability on Everton and £1998 liability on Newcastle and every single other team in the league. So for a potential win of £30 you would be risking (and tying up in BetFair) over £26,000! What that leaves us with then is to back and lay multiple participants over the course of the season. This is known as creating a book, and it's essentially what a bookmaker does themselves. The key to the process of greening up is to understand that immediately after an event the odds are impacted in such away to make them unrealistic or not 'true odds'. If one of the top 5 loses their first game of the season they will take a disproportionate hit in their odds compared to a team that wins their opening game. Back the loser, lay the winner. Only one team in premier league history has gone the season undefeated, and they didn't win it by that many points as there were so many draws along the way. There will be ups and downs, crisis after crisis, loss of form, injuries, cup runs, so many things can impact on a season and therefore the odds of a team winning the league. 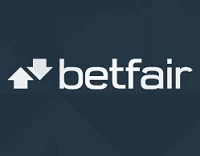 Remember that if you take a position on BetFair, and then when the odds change take another position on the same event (say Manchester City to win the league backed and layed), you will only have the combined liability removed from your account. If you do this right you should actually free up most of your capital from BetFair and simply wait for a profit depending on who wins in the end. Create a book and combine it with some matched betting,and if bets, it's the only way to beat the bookies on the Premier League winner. While we're here you should sign up for some more bookmaker accounts. 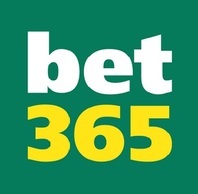 Each of them is offering the best odds on a specific team to win the Premier League, and a great sign up bonus as well. Remember to keep an eye on the lay odds at BetFair as well, as that's how you'll lock in your profit. 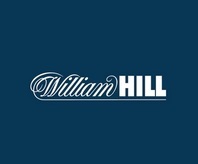 William Hill bore draw insurance is pretty much the best in the business.